The undersigned NGO’s are seriously alarmed with Bahrain’s imposition of travel bans against human rights defenders attempting to take part in the 32nd Session of the UN Human Rights Council. 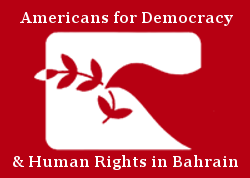 Travel bans were imposed on human rights defenders Hussain Radhi, Ebtisam Al-Saegh, Ebrahim Al-Demistani and the parents of Ali Mashaima at the Bahrain International Airport after attempting to travel to the UNHRC in Geneva. Both Al-Saegh and Radhi have been participants with the Office of the High Commissioner for Human Rights workshops held in the Kingdom earlier this year. The NGO’s condemn any attempts at preventing civil society from engaging with the Council and are extremely concerned at the failure to protect members of civil society who are taking part in the OHCHR technical programme of assistance in Bahrain. In a serious clampdown on free speech, officials in Bahrain have so far banned at least six human rights defenders including families of abuse victims from leaving the country. On 12 June, the individuals were stopped at the airport ahead of their trip to Geneva. Officials at the airport held Radhi and Al-Saegh for almost one hour before informing them that they were banned from traveling. No reason was given for the bans. Officials have confirmed to Al-Demistani that there has been a notice on his name imposed by the public prosecution since 9 June 2016. These are only a few examples of a recent escalation in travel bans imposed against activists that have engaged with the Council. On 10 June 2016, officials banned Dr. Taha Al-Derazi,a former political prisoner and an activist, from traveling to the United Kingdom with his wife to visit their son. He, like others, was given mixed messages by different government departments. Dr. Al-Derazi has participated in the previous HRC sessions and it is believed that the reason behind this ban is to prevent him from participating in the current session. Bahraini officials have also imposed a travel ban on the prominent human rights defender Nabeel Rajab for nearly one year. Despite several appeals against the ban, officials have remained unresponsive. A similar travel ban has also been imposed following his participation in several human rights conferences overseas. Preventing civil society from engaging with the UN is a new tool being used in Bahrain to intimidate and silence freedom of expression. A pattern of reprisals against human rights defenders has emerged to prevent reporting on severe ongoing rights abuses in the country. As a signatory to the International Convention on Civil and Political Rights (ICCPR), Bahrain has committed to uphold international standards of freedom of movement and freedom of expression. Both rights must only be restricted in limited circumstances. We therefore call on the the government of Bahrain to immediately and unconditionally lift the ban imposed on civil society activists and allow them to freely engage with the UN. Bahraini human rights defenders must be free from intimidation and restrictions to carry out their legitimate human rights activities. We also call on the international community to hold the government of Bahrain to its commitments and obligations to foster a safe environment for human rights reform. Justice Human Rights Organization (JHRO).